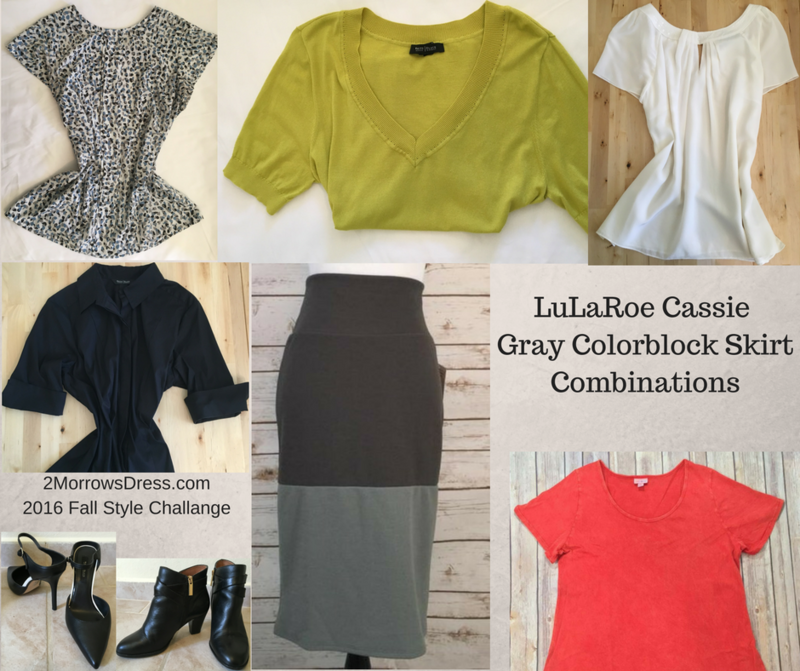 I heard an idea for a Fall Fashion Capsule Wardrobe Style Challenge to pick a few new pieces of clothes and style them with only items from my closet for maximum combinations. 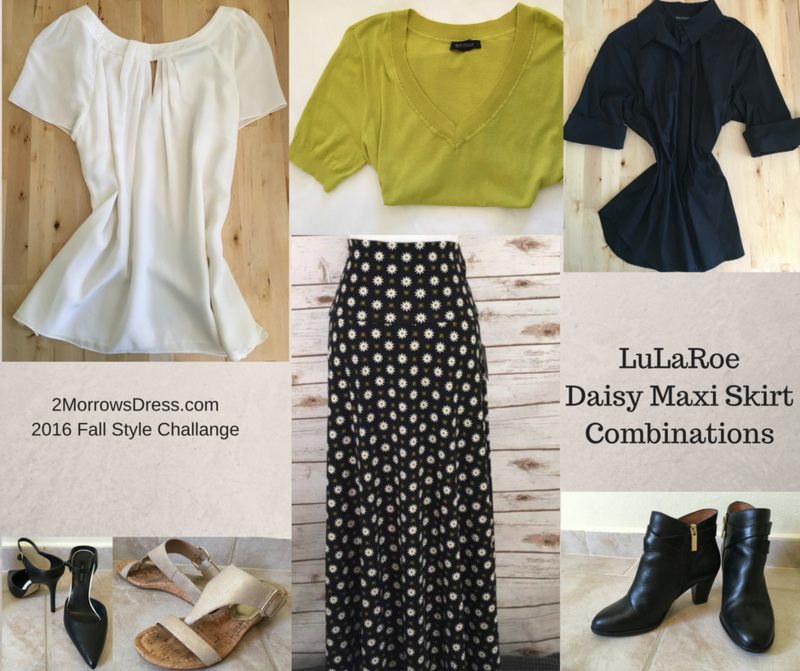 Well, I love fashion, and a challenge – count me in! 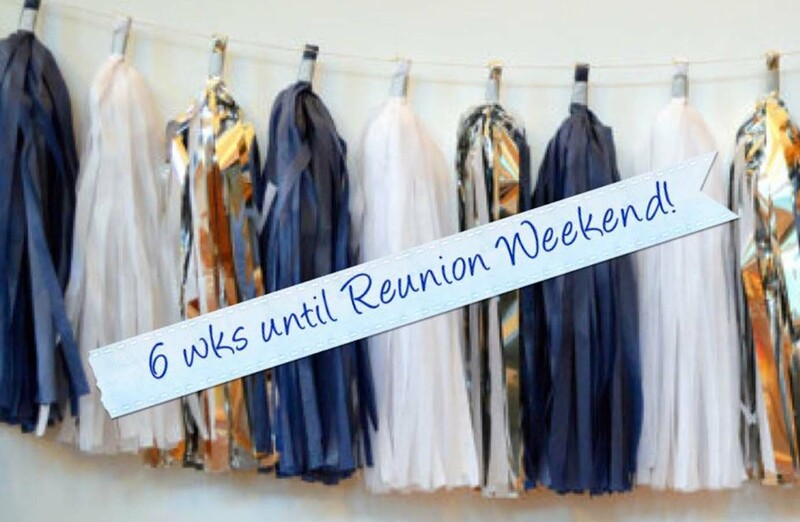 Admittedly, my capsule wardrobe is definitely a work in progress, so this is a great exercise to continue to evaluate my wardrobe and add/remove clothes as necessary. This is my first Style Challenge and it is based on one of my guiding principles of simple, classic pieces that fit and flatter. If you are new to Capsule Wardrobes and my quest to downsize into one, read this. Basically, capsule wardrobe is the end result of simplifying your closet to a collection of pieces that maximize your outfit choices. The end goal is to reduce clothes that are ill fitting and unworn, and focus on quality clothes that deserve space in your closet! 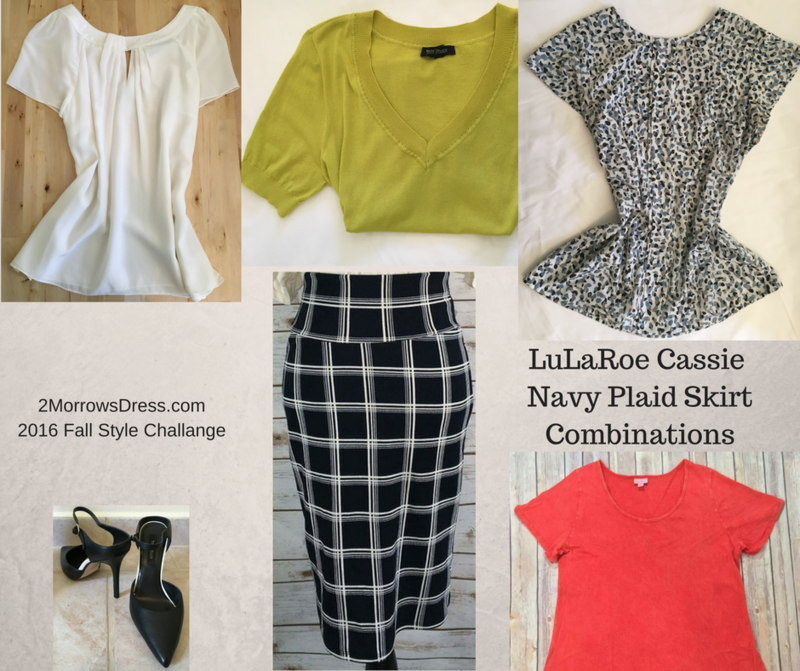 I picked my four favorite skirts and one shirt from the LuLaRoe Fall 2016 line, paired with four shirts from my current wardrobe. Each outfit was then paired with one of three pairs of shoes, also from my current wardrobe. The result? Check out these four skirts paired with clothes already in my closet for over a dozen unique outfit combinations to start wearing for fall and through winter. 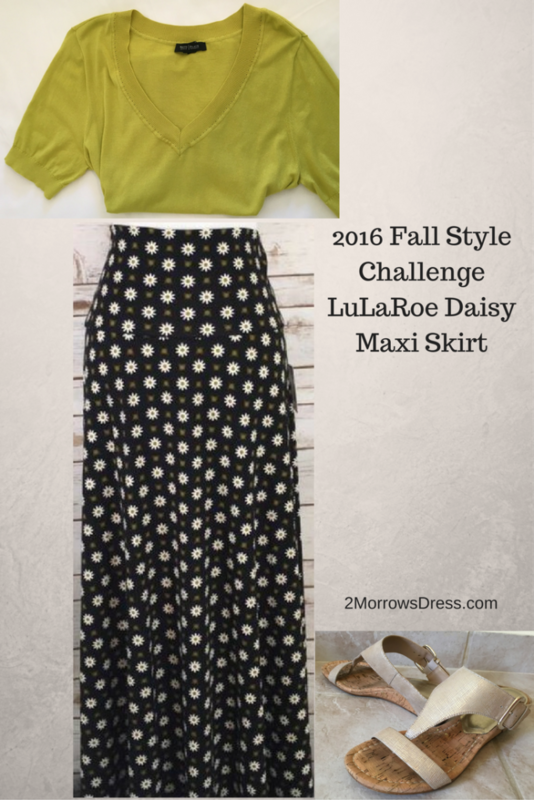 LuLaRoe Daisy Maxi skirt paired with a perfectly matching sweater! I was immediately drawn to the daisy skirt, and delighted that one of my favorite sweaters is a perfect match! 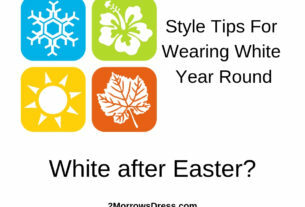 Also try it with an Ivory blouse, or black shirt. Paired with boots, heels, or sandals. 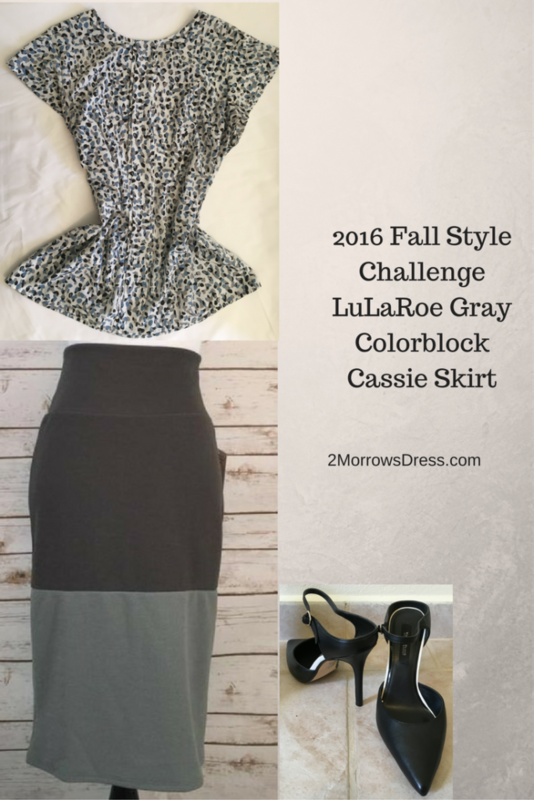 LuLaRoe Cassie Gray Color block skirt paired with a bold print blouse, a perfect match from my closet! Also try it with an Ivory blouse, black shirt, or a bright color like the red tee or pear green sweater. Paired with boots or heels. LuLaRoe Cassie Navy blue and Ivory Plaid skirt paired with matching ivory silk blouse. Also try it with a bright color like the pear green sweater, more casual with the red tee shirt, or really mix it up with a coordinating color print blouse. 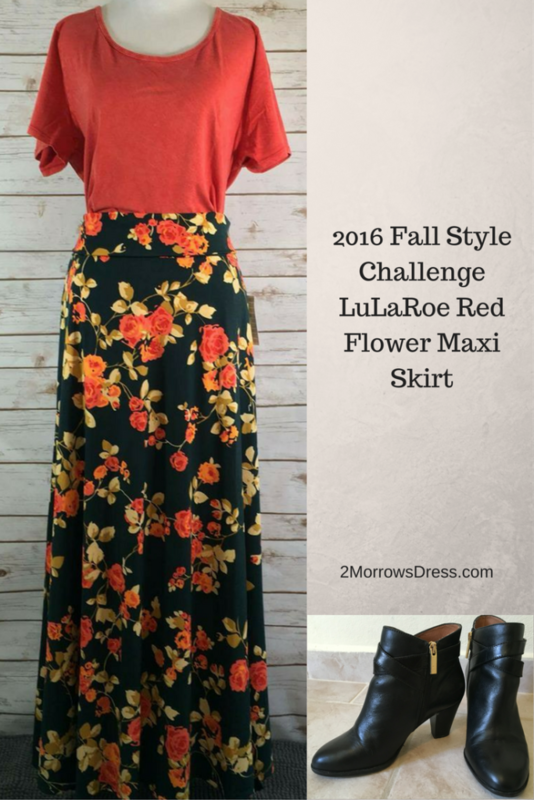 LuLaRoe Red Flower Maxi skirt paired with a LuLaRoe bright red tee shirt. Shades of red can be difficult to match – hold the reds next to each other in natural light to ensure the exact match. Also try it with an Ivory blouse, black shirt, or another color from the flower print. Again, my favorite pear green sweater is a perfect match to the flower stems and leaves on the skirt! Paired with sandals, boots or heels. Bottom line: Your capsule wardrobe is all about the variety of combinations with the fewest pieces. Pick a few high-quality classic foundation pieces to build a dynamic wardrobe adding select pieces for a wide variety of looks and seasons. LuLaRoe has classic styles, and patterns that are easy to incorporate into an existing capsule wardrobe. 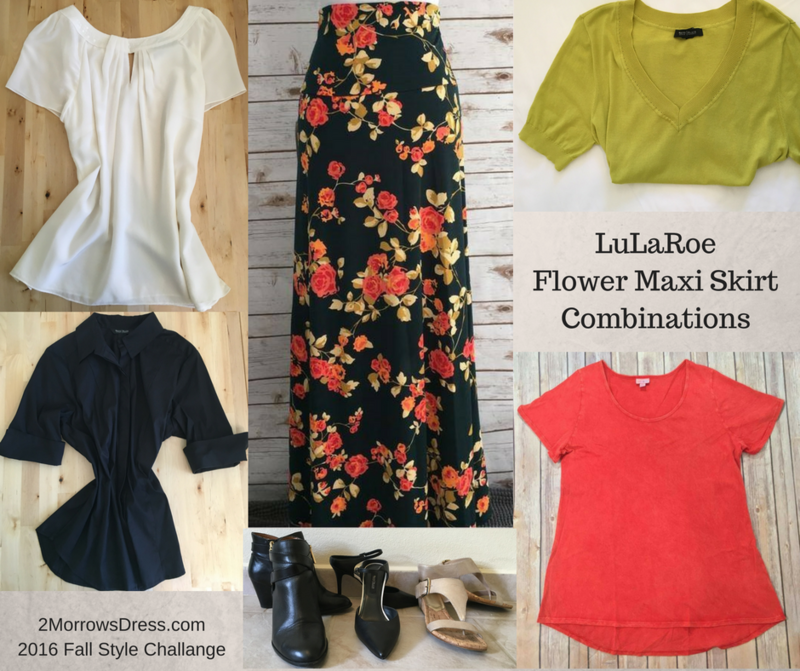 The only way to get these items, and any of the LuLaRoe clothing is from an independent sales rep /pop-up boutique (similar to Tupperware or jewelry parties). If you are in the Phoenix-metro area, you can buy from my stylish friend here, or click here to find a rep near you. This is my first Style Challenge post. How did I do? 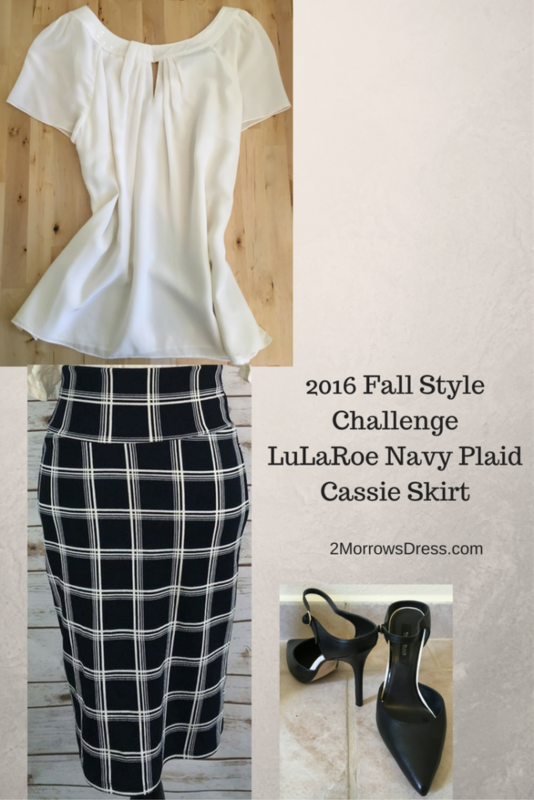 Would you like to see more Style Challenges from 2MorrowsDress? Please leave a comment below and tell me what you think or if you have any idea for a style challenge. Disclaimer: No compensation was provided to me for this post. These opinions and recommendations are my own. I do not receive any form of payment or compensation for this style challenge. I am not now, nor have I ever been a paid consultant for the products listed. No free product was provided to me. There is no benefit to me for any purchasing decisions made by the reader.